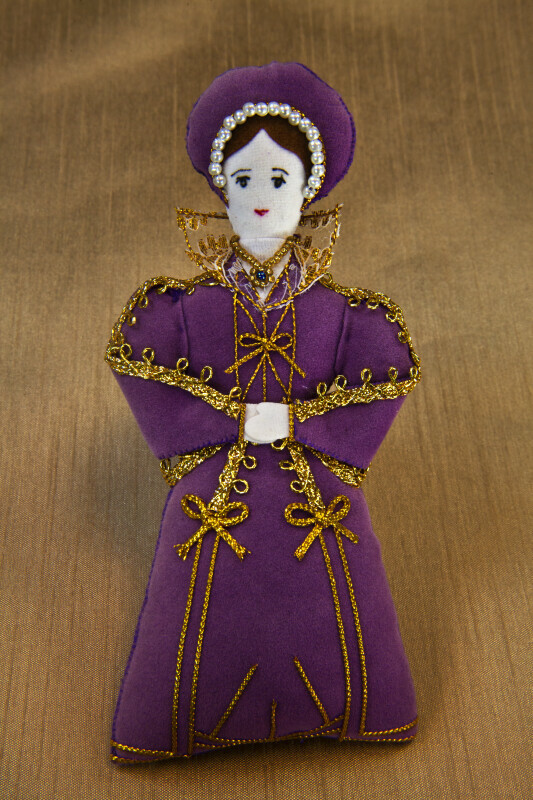 Handcrafted ornament of Katherine Parr, the sixth wife of King Henry VIII of England. She is made with stuffed cloth and felt that is decorated with gold trim. She is wearing a regal burgundy gown with a high lace and gold collar. She has pearls on her headdress and gold trim on her dress and sleeves. She has a gold and blue necklace. Her facial features are created with pen on her face of felt. The figure is 6 inches (16 cm) tall.